After 2 years with the rear door Jayco Freedom we decided to upgrade. We found a 15foot Jayco with a double bed, centre kitchen and a table that can be converted to a bed for grandchildren who may want to come along. This van weighs a little more at 1350Kg, but is well within the capacity of the XTrail at 2000Kg. As per the last van I immediately removed the hopeless Centurion power convertor. This gains more storage under the seat. Re routed the DC cabling up inside the side hatch. Added a 10 amp CTek charger, 8 way fuse panel and a 100Ah battery. The battery neatly fits in a spare space adjacent to the drawers. The battery used is a 100Ah Fiamm commonly used for backup in the telecommunications industry. Heavy duty cable was added under the floor to the other side of the van to allow for a 12v outlet under the floor. This allows for the Waeco fridge and solar panels to be connected. 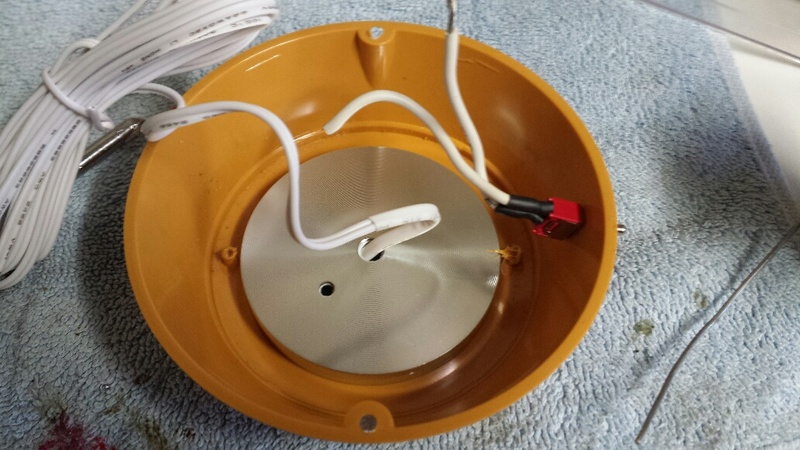 Also provides a feed for 2 12v connectors inside for phone charging and operating the 12v TV. A surplus 12v fan from a PC power supply was also installed above the fridge to aid with airflow. Main lights were replaced by LED globes from “Beach Lovers LEDS” in Queensland. 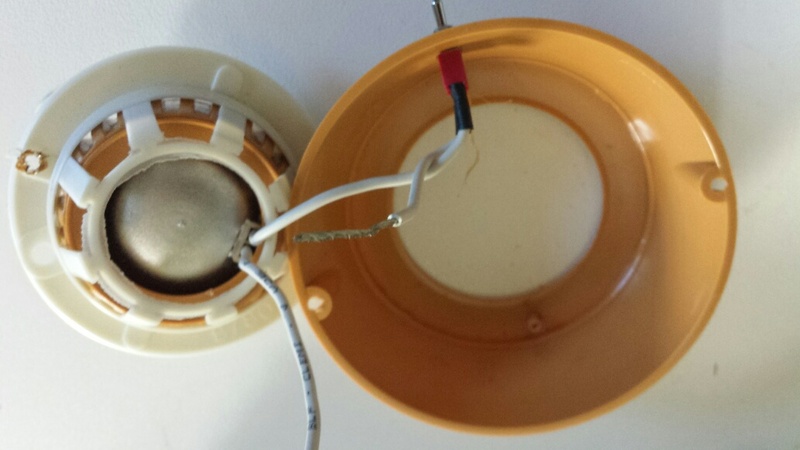 The LEDs are a direct plug in replacement for the incandescent globes and save 80% of the power at 12volts. The 2 bulkhead lights over the bed and one over the kitchen are more of a problem. I purchased some LED cabinet LED units from RB Electronics Hong Kong. Having used these before in the other caravan. The units are 60mm in diameter and neatly fit in the housing. The pictures following show the process used. 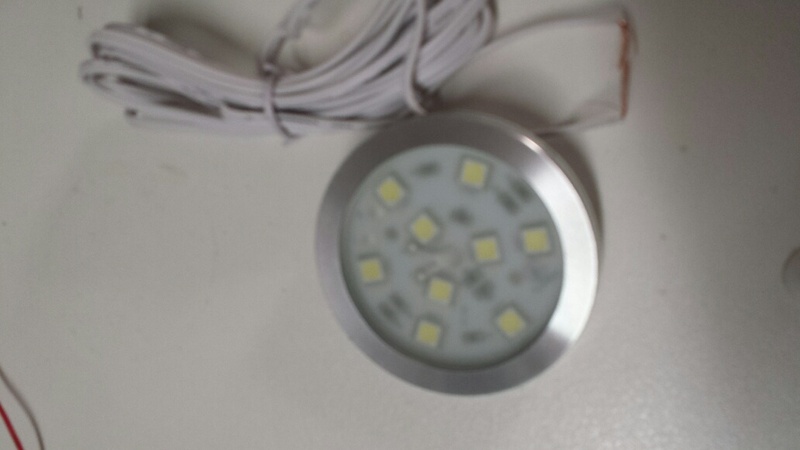 60mm LED’s available from China via Ali Express for about $7 each. Specify cool white or warm white as per your preference. Unit removed from caravan. Note the two plastic tabs holding the insert. These can be melted with a soldering iron to remove the insert. 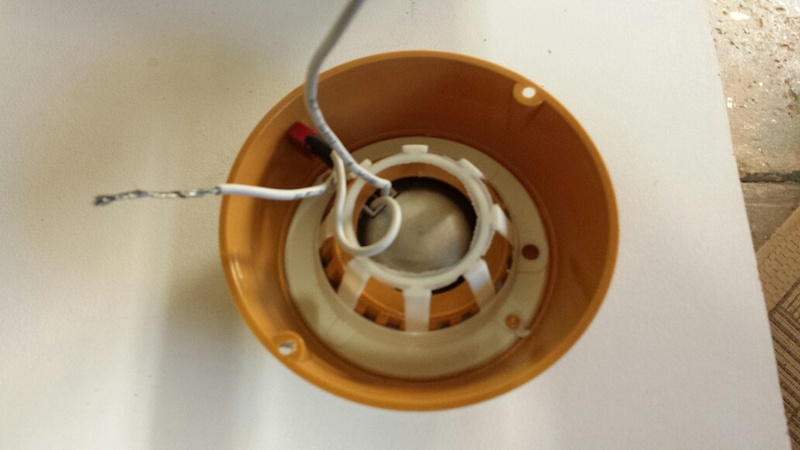 Place the new LED unit in place and hold there with 4 dobs of silicon. After dry cut and solder the wiring. Being aware of the polarity required for the LEDs to operate. 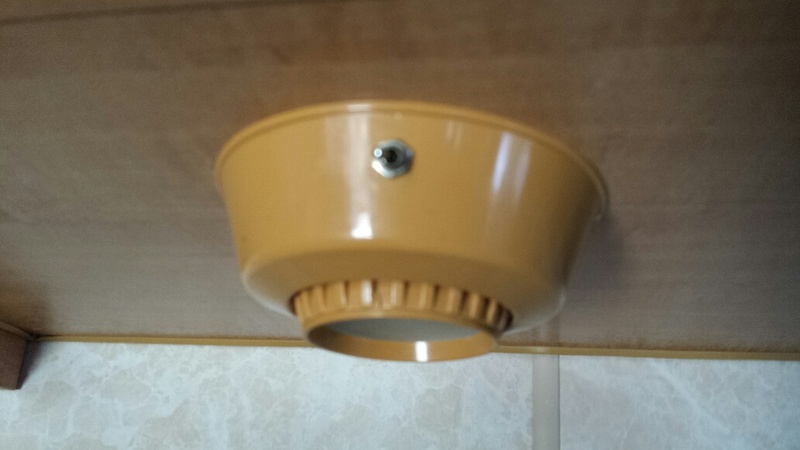 Hey presto you now have low current high output lights above your bed and kitchen. For our comfort I have added a Phillips CEM5100 AM, FM, CD player to the van. This fits neatly above the bed with a speaker in each wardrobe. antenna mounted on the back of the van. The unit has a remote control and also supports MP3 from USB stick or SD card, Bluetooth.